It may not seem like a major expense to buy a fancy coffee drink on your way to work a few times a week. If you do it every day, however, you’ll find that those costs add up quickly. Spending just $5 a day on coffee accumulates to over $1,200 per year. If you feel like you can’t live without your morning coffee, you’ll be glad to know that you don’t have to go without just for the sake of saving money. Instead of buying those fancy coffee drinks, why not learn how to make them yourself at home? Keep reading to learn how! If you enjoy a nice cup of cold brew coffee in the summer, don’t bother spending more for it at the coffee shop – make it at home! 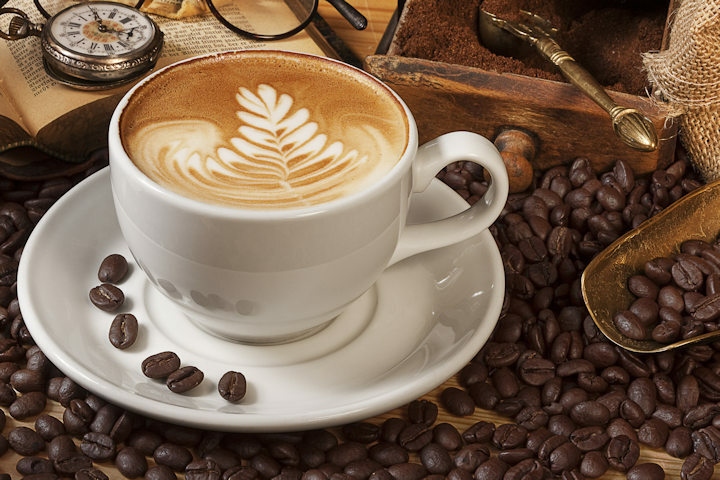 Start by placing freshly ground coffee beans in a glass container and pour in cold, filtered water at a ratio of 4 cups of water per 1 cup of grounds. Stir to wet the coffee grounds then cover the container and let it sit at room temperature for 12 to 24 hours until it is brewed to the desired strength. When it’s done, simply chill and enjoy! If you love a good latte but you don’t want to pay for it or shell out for an espresso machine, there is a workaround you can use at home. Start by brewing some very strong coffee then pour some milk into a small jar and shake it as hard as you can until it’s frothy – at least 30 seconds. Next, microwave the milk for 30 seconds or until the foam rises to the top. Using a spoon, hold back the foam and pour as much milk as you’d like into the coffee then spoon the foam over top. A cappuccino is simply espresso mixed with steamed milk, so you should be able to make it yourself fairly easily. Start by brewing a cup of coffee to your liking then combine a cup of milk with a teaspoon of sugar in a microwave-safe mug or small bowl. Heat it for 2minutes then whip it in your blender until it creates a nice, fluffy foam. Fill a large mug 2/3 of the way with coffee then add the heated foam. You may think that Starbucks is the only place to get a tasty frozen coffee drink, but really you only need to go as far as your own kitchen! Start by brewing about 6 ounces of very strong coffee or espresso and let it cool down and chill. Next, pour the coffee into a blender and add ½ cup of milk, 3 tablespoons sweetened condensed milk and a half teaspoon of vanilla extract. Throw in some chocolate syrup and chocolate chips then blend away! This recipe makes about 3 servings. A Caffe Americano is similar to a latte, but it is made with espresso and water which makes it a little less heavy. Start by brewing 3 ounces of espresso or very strong coffee then pour 3 ounces of very hot water into your mug. Next, pour the espresso into the mug with the water then garnish as you like with a pinch of cinnamon or a drizzle of honey. Now that you know how to make your own coffee drinks at home, it’s time to give it a try! You may be surprised to find that homemade coffee drinks are just as good (or better) than what you’d buy at the coffee shop. Enjoy!